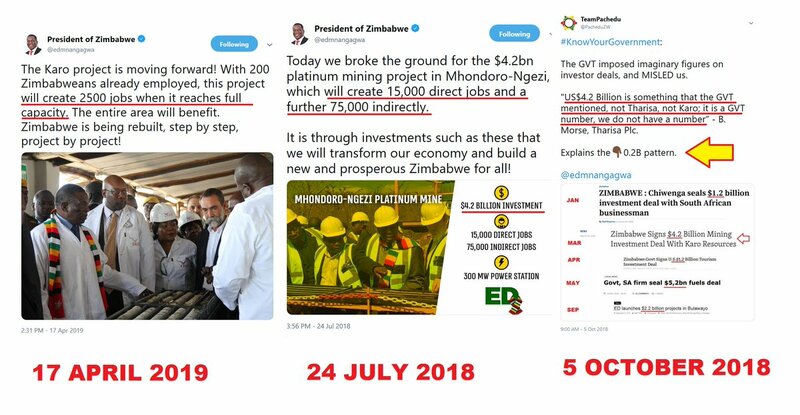 It seems that President Emmerson Mnangagwa was caught in a big lie when he claimed that the Karo project would only create 2 500 jobs when the project reached full power. This is a serious cut from the 90,000 jobs reported last year. 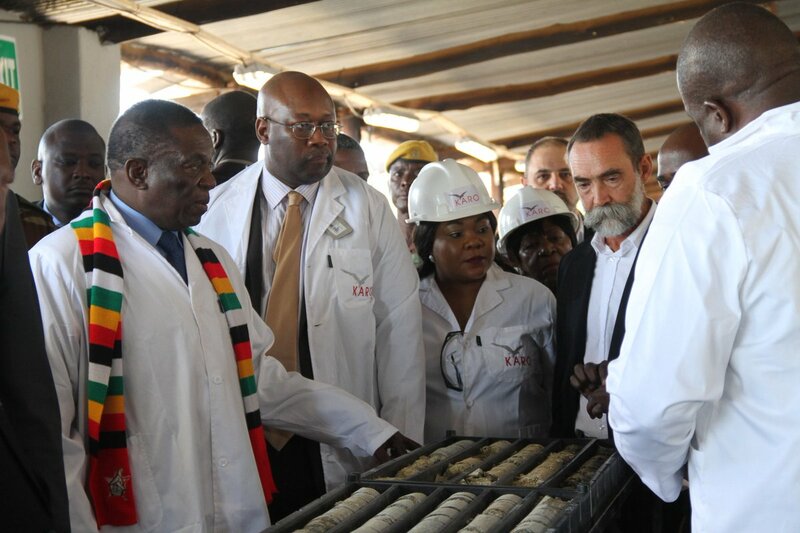 Just before the elections on July 30, 2019, Mnangagwa claimed that the Mhondoro-Ngezi platinum mining project would create 15,000 direct jobs and 75,000 indirect jobs. Below are screen shots courtesy of Team Pached.